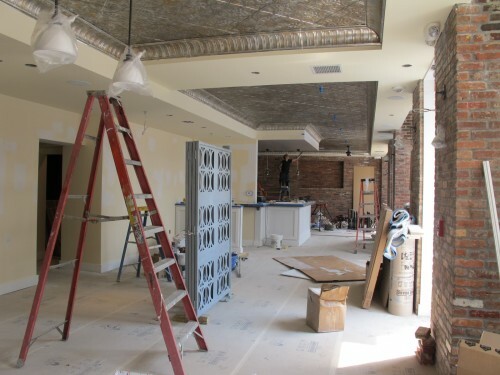 PoPville » PoP Pre-Preview: New Tryst/Diner Spot Opening in Columbia Heights Mid/Late Sept.
Columbia Heights Iron Age Korean BBQ Coming to Columbia Heights!! 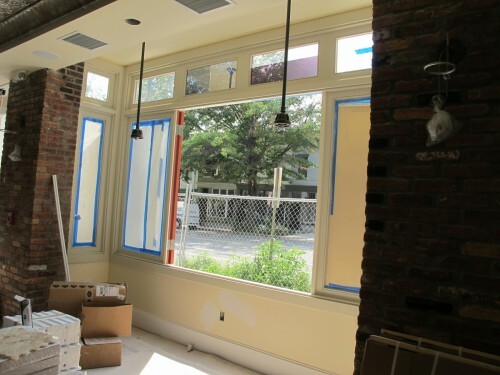 PoP Pre-Preview: New Tryst/Diner Spot Opening in Columbia Heights Mid/Late Sept.
It’s been almost a year since we talked about the new Tryst/Diner spot coming to 11th Street, NW (between Park and Monroe) in Columbia Heights. 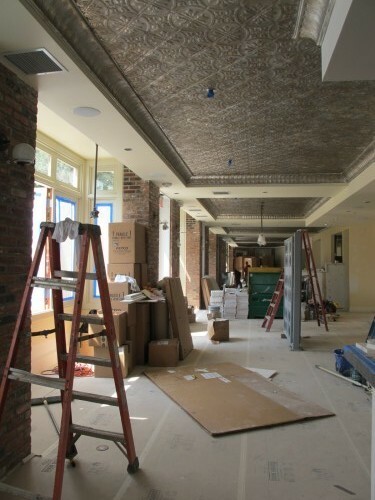 I am very excited to share some good news – they are opening in mid/late September! I was also lucky enough to get a tour of the 7000 square foot space. As you can see there was still some work going on but you can get an idea of how the space will flow. 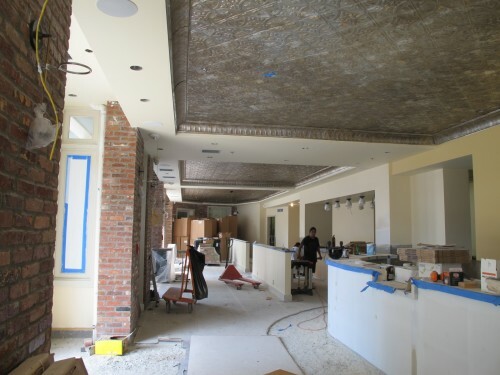 The main entrance will be through the middle of the building on the 11th Street side and you’ll enter into the Tryst-like part of the space. 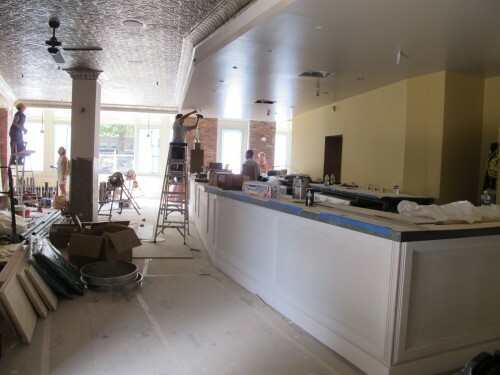 Here you’ll be able to get coffee/pastries etc. and you’ll also be able to make to go orders. 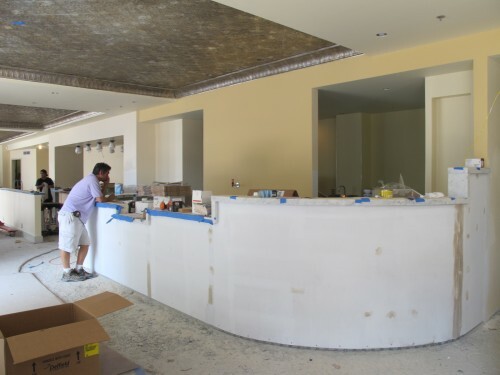 If you turn to the left (north) you’ll enter the Diner-like space which features more seating and a wrap-around bar. Remember the space will be open 24 hours a day, 7 days a week – which means breakfast all day! 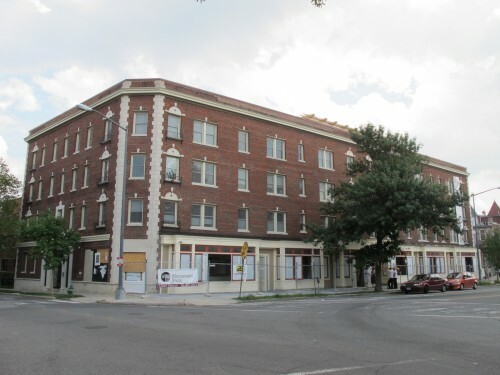 As those who have walked by know – the entire length of the building is set with big bay windows that will open up. 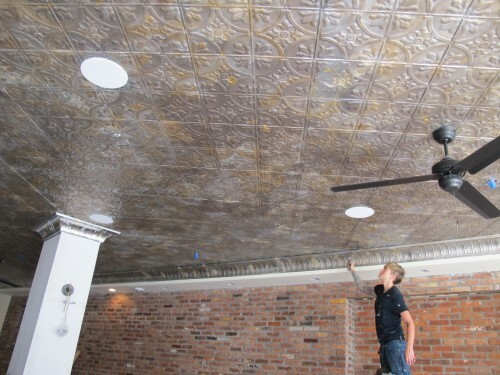 You’ll also notice incredible tin ceilings throughout the space. So enter in the center to the Tryst-like area, turn left to the Diner-like space – and if your turn right from the main entrance you will enter another large bar space. 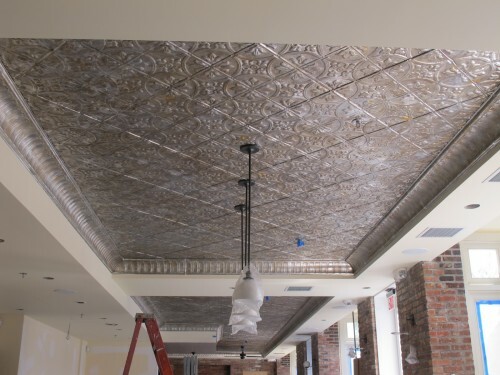 While there will be three distinct features, coffee, dining and bar – I’m told that each space will flow into the other and you can order whatever you’d like anywhere you are seated. There are many more details coming soon – but hopefully this will give you a taste of what’s to come. Oh yeah – the name is coming soon. Can’t wait for September! 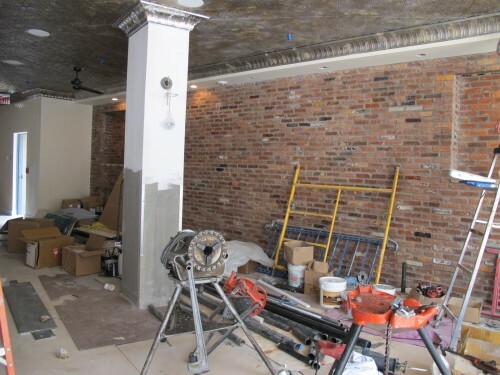 Iron Age Korean BBQ Coming to Columbia Heights! !